As this Saturday approaches one of the most epic math days approaches. Of course I am speaking about pi day on March 14. This year makes it especially wonderful because it won't just be pi day on 3/14, but it will be super pi day on 3/14/15 at 9:26:53 when 10 digits of pi align to the date of the year. 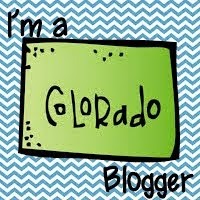 That's just cool! 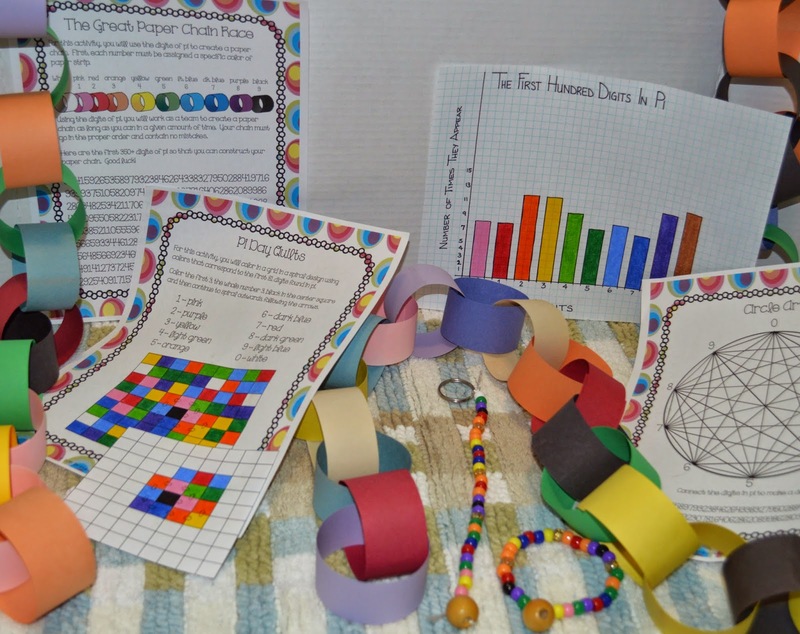 Pi Day is the perfect opportunity to get kids hooked on math. Too often, as educators, we hear, "Math is too hard," "I can't do it," etc. But Pi Day allows you to have fun with math, and it allows kids to see that math doesn't just have to be a list of numbers and equations and repetitive practice after practice. Pi Day lets kids see that math can be shapes, figures, fractals, colors, diagrams, exploration, discovery, and more. 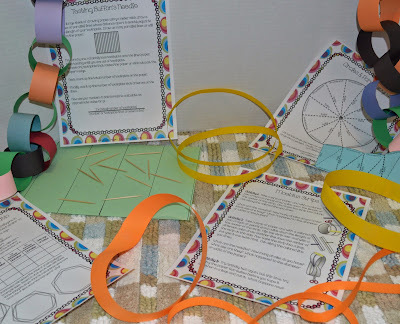 For the younger students Pi Day presents a wealth of crafts that can be created related to circles. Anything with circles can be cut, glued, beaded, sewn, and strung together to make circles the focus. Add in a little history explaining how the ratio was discovered, who assigned the Greek letter of pi to it, and how pi is used today, and you've got yourself a lesson. 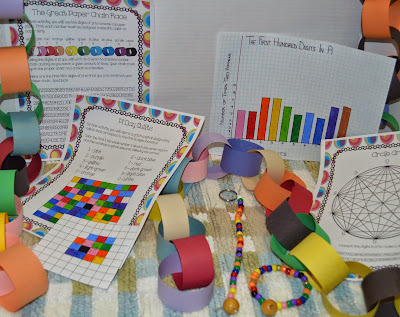 Some craft suggestions include assigning a different color to each digit, 0-9, and then using that guide to create bracelets and keychains, decorate pi quilt squares, make a paper chain representing the digits of pi, and more. For slightly older children, Pi Day allows them to explore mathematical concepts without the weight of a grade or the worry of a test. They can graph the digits of pi, measure circumferences and diameters and find the ratio themselves, explore volume of different sized cylinders and see how the base (area) of the circle affects the volume more than the height of the object, etc. Then finally, for your older students, Pi Day allows you to capture some amazement and excitement with explorations and labs in math. Think of all the fun the science teacher gets to have with labs, and now you get to do it too, but without the frog guts. 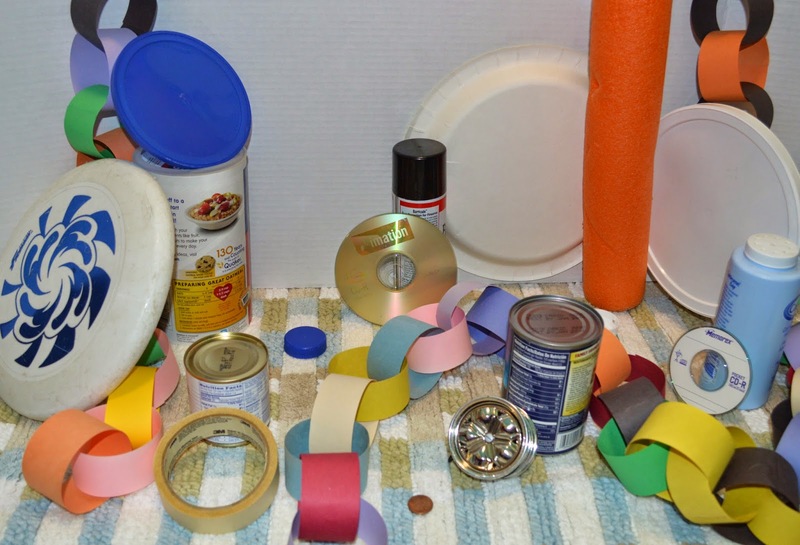 Students can re-create the early stages of Archimedes experiment with polygons and discover the ratio of pi. They can test Buffon's Needle and be amazed at how toothpicks on a paper predict the value of pi. Let them predict what will happen as you cut apart various loops of paper and create moebius strips. Or let them research and evaluate how circles and parallelograms are related. This is really just the tip of the iceberg. There is so much you can do with circles and so many ways you can explore how Pi has impacted the world around us. So celebrate Pi Day this Saturday, celebrate it with your students beforehand or afterwards, but let math be fun, let math be exciting, and maybe, just maybe, we can turn one of those "It's too hard," kids into the next young mathematicians of the decade.